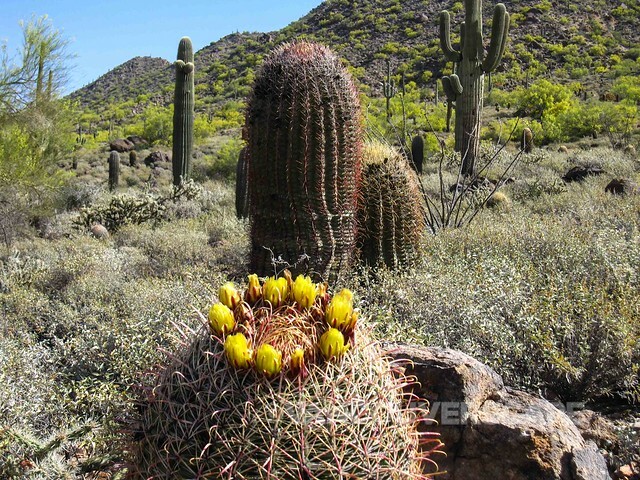 To most, Arizona conjures up thoughts of cacti, rattlesnakes and hot sauce. This was my fourth foray to the Grand Canyon state to experience another set of adventures. I was recently invited to the Phoenix, Scottsdale, and Mesa areas for a mixture of dining, boutique/destination lodging, and scenic adventures. The trip more than lived up to this city gal’s expectations. 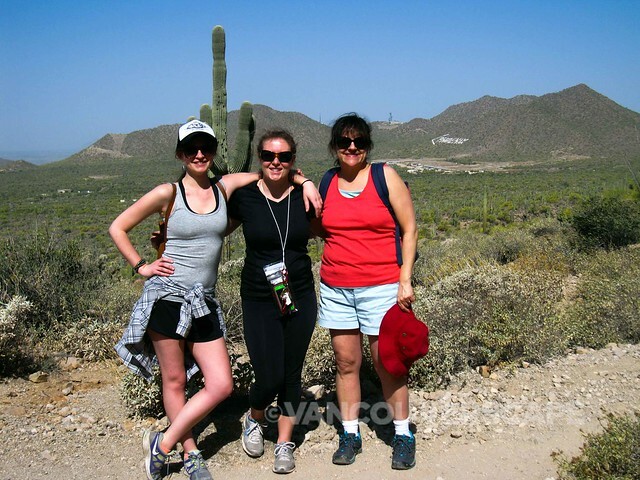 On a ‘cool’ Mesa morning, I met with a fellow travel writer and a couple of friendly ladies from Visit Mesa for a hike through the lower Sonoran desert. 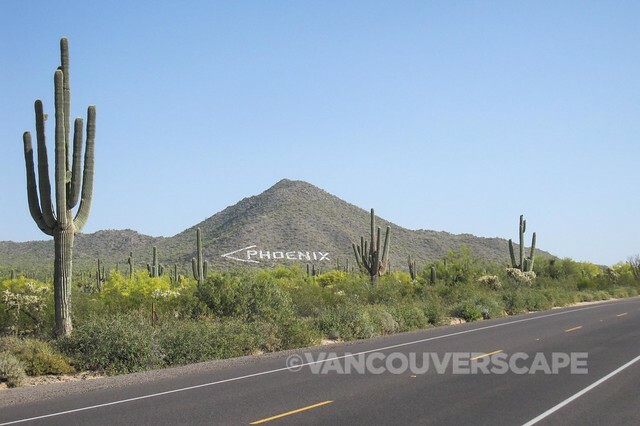 Our driver pointed out the well-known Phoenix sign, used back in the day as an aerial marker, supposedly built by Boy Scouts in the 1950’s. The sign is no longer used for its original purpose and is repainted on occasion, serving more as a tourist attraction than anything else. 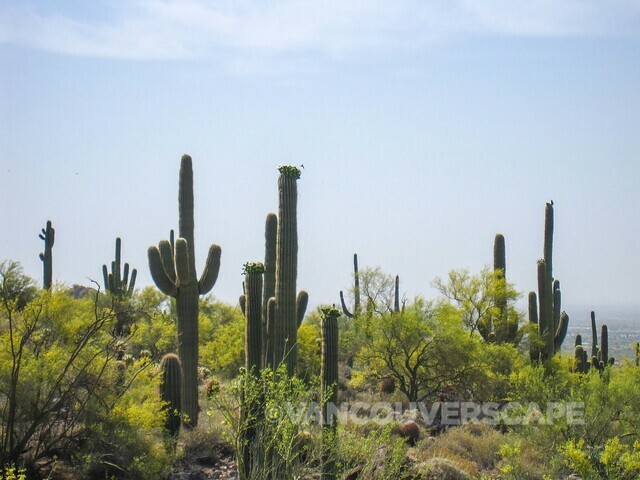 Usery Mountain Regional Park is filled with beautiful birds, colorful blooming cacti, and views as far as the eye can see. Our goal was to hike up to Wind River Cave, a well-visited spot a mere 40 minutes east of Phoenix and provides a great workout due to its gradual incline. On that morning’s itinerary was also a stand-up paddle boarding session at Mesa’s No Snow SUP (owned by Heather and Court who hail from Medicine Hat, Alberta) however the windy conditions sadly made that a no-go. 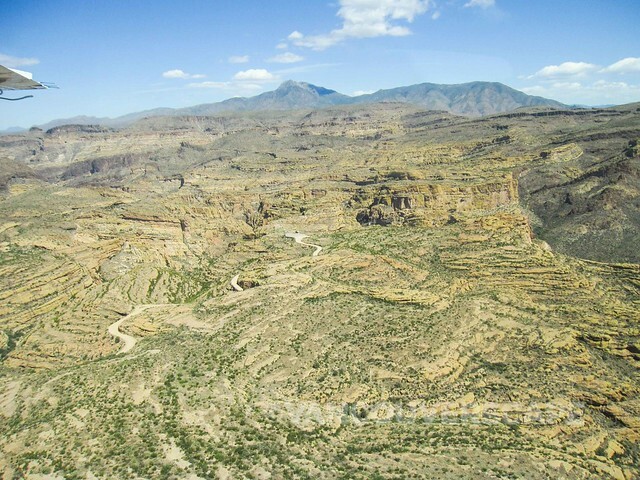 The park contains over 3,600 acres, set at the western end of the Goldfield Mountains. As there were four of us, we paired off and due to the increasing heat, I chose to stop just beyond the halfway point up the mountain. Even at this elevation (1,400 feet or so), the views are spectacular! Usery Park is part of the Maricopa County regional park system; amenities include picnic sites, an archery range, horse staging, amphitheater, group campgrounds and barrier-free trails. I was surprised at the density of flora here, knowing full well how dry these parts are. Back at the Nature Center and gift shop, I enjoyed viewing a hairy scorpion using a black light (and decided not to look at its neighbour, the big hairy spider in the glass tank next to it). 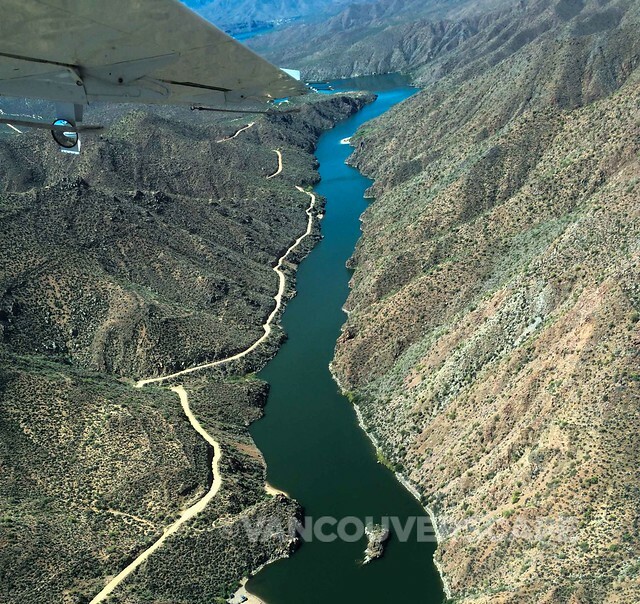 For a completely different perspective on the Arizona desert, I was booked for an aerial plane tour aboard a float plane (yes, in the desert!) with Desert Splash Adventures. On a separate morning, a group of us met near the Scottsdale Airport, checking in about half an hour ahead of our flight. Pilot Rob was trained in BC of all places; he has fond memories of the province. As our plane took flight, we passed above some amazing scenery. We each had headphones for the guided tour, but what made this experience a first for me was the tunes. Rob brings an iPod filled with a carefully curated playlist that made for well-timed moments with appropriate music for the pace and views. This choice was ours: either keep the headphones on for the music, or keep them off. 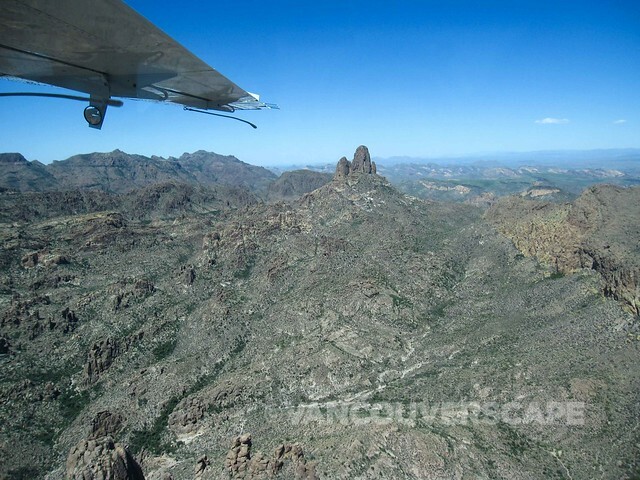 The 90-minute round trip takes in Saguaro and Canyon Lakes, Salt River Canyon, Roosevelt Dam, Tonto Indian Ruins, Weavers Needle, The Spires and in true float plane fashion, lands on a tiny island in the middle of the desert! We stopped briefly on the island to walk around and take in the natural beauty. Desert Splash uses this spot to host private parties, corporate events, brunch, etc. There’s also a longer tour that includes a wine tasting, showcasing four wineries accompanied by cheese, fruit, nuts, honey and grilled bread. Another popular booking is a private beach party for you and eight of your closest friends, with horseshoes, bocce ball, frisbee golf and SUP rental (additional fee). The brunch is catered for up to nine guests as well and includes a Southwest wine pairing. 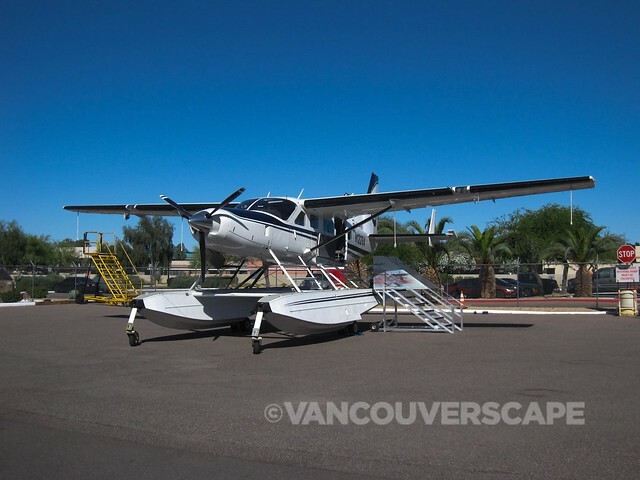 Desert Splash can arrange a number of fun outings, and they’re the only company in Arizona to offer a float plane experience. I absolutely loved this excursion even though the flight home was less smooth due to the hot and cold air combining. The music was a relaxing way to focus on the beauty rather than the at-times erratic movement. There’s nothing quite like the landing strip coming into view as the Talking Heads’ This Must be the Place (Naive Melody) flows into my ears. Rob gets a gold star for picking that tune to end our flight. 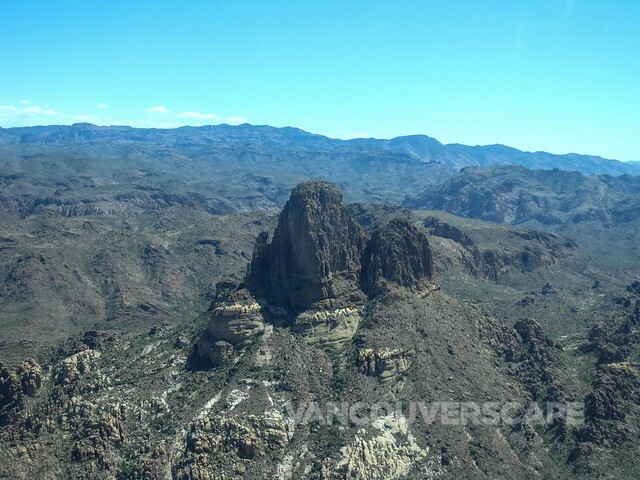 I was a guest of Desert Splash Adventures for the purpose of experiencing their 90-minute aerial tour for this feature. Opinions, as always, are my own.